Spending just a day on Chincoteague Island, we were rewarded with a serendipitous experience. Chincoteague, on the eastern shore of the Del Mar Peninsula, is best known for the wild ponies, whose ancestors survived a wreck of a Spanish Galleon, or one of the legends would have us believe. 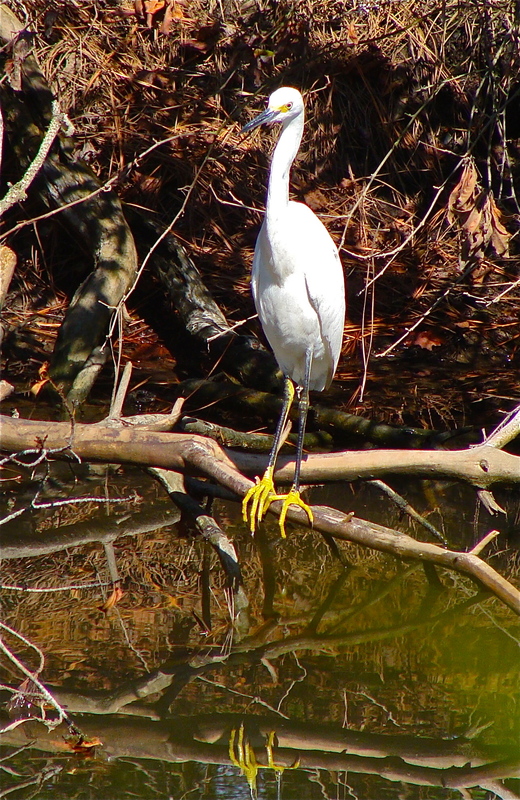 Turned out the egrets carried the day. On turning down the historic Main Street, a large yellow and colorfully decorated building surrounded by flowers and artifacts, came into view, so we immediately turned into the parking lot. “Chincoteague Treasures” became the first stop on our island tour. Inside a variety of antiques and memorabilia filled the building. We compared the items with things that we owned, and stuff we regretting giving away upon discovering the prices on such items. Old toys, books, glassware, tools and clocks lined the shelves, and a good selection of chairs and other furniture occupied the center section. A vintage candy machine, harking back to a former area, stood next to the wall. A small mental stove reminded me of my childhood toys. We sifted through several boxes of record albums and found a John Lennon/Yoko Ono Double Fantasy cover that we liked. On one the shelves, I came across three blue and green colored insulators with a tag of $35 on one of them. After writing a blog post here on the subject of insulators and becoming fascinated by their history and esthetic appeal, I knew it was time to get out my cash. My sister and I picked one of each, and we asked if all were $35 or just one. The proprietor, Harry Katsetos, replied they were $35 each but made us an offer of two for $25, which I immediately agreed on. We spoke with Maria, Harry’s wife, about their store and how much we liked it. I told her I was going to take a photograph of the storefront to include on my blog. She agreed to pose out front, and Harry joined us for more pictures and conversation. On the subject of computers, Maria said they were not yet connected to the Internet but had to plans to hire a student to help with a web page. 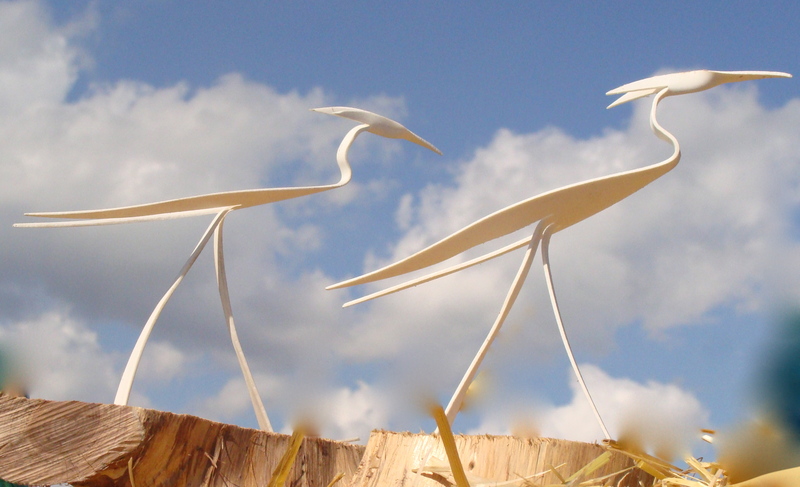 Then as a total surprise, Harry presented my sister and me with two of his creations, hand-made egrets mounted on cedar platforms. We certainly discovered treasures at Chincoteague Island, and they didn’t fall off a Spanish Galleon.